However you come to your decision to undertake an energy efficient Self Build home, approaching the design can be a tricky task. You may have found your perfect plot, but your planning permission might dictate that your new Self Build should be eco-friendly – where do you start? Perhaps you’ve been enticed by a discounted mortgage rate for environmentally-friendly Self Builds – who has the right experience for designing your energy efficient home? Energy efficient homes are being designed and built more regularly throughout the UK, with the government continually looking to reduce carbon emissions in the construction industry year by year. As a result, there are now many architects who specialise in the design of eco-friendly homes. It is widely suggested that prospective Self Builders approach a specialist for help with their eco home. Covering the designs, planning permission, and project management of your venture – the experience of such professionals allow you to enjoy the build process without the stress of having to run everything by yourself. 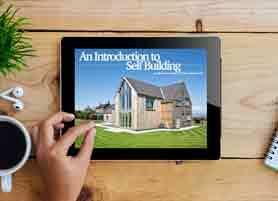 Architects with expertise in energy efficient Self Builds might even suggest you join them at Self Build seminars, in order to educate you in the different processes they can incorporate into the design of your home. 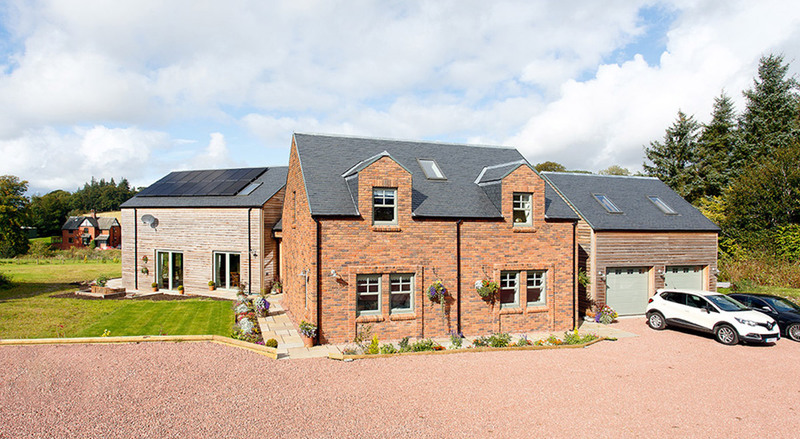 So how can you make the most of the expertise available to you, and what principles can be integrated into the design and build stages of your Self Build to make it truly energy efficient? You may have come across the term ‘Passivhaus’ when researching energy efficient homebuilding methods. Originating in Germany during the 1990s, the Passivhaus Standard aimed to vastly reduce the energy usage of homes, by focussing carefully on the design and construction stages of the build process. It purposefully narrows concentration towards getting the fabric of the building right, in order to significantly lower the building’s energy usage. 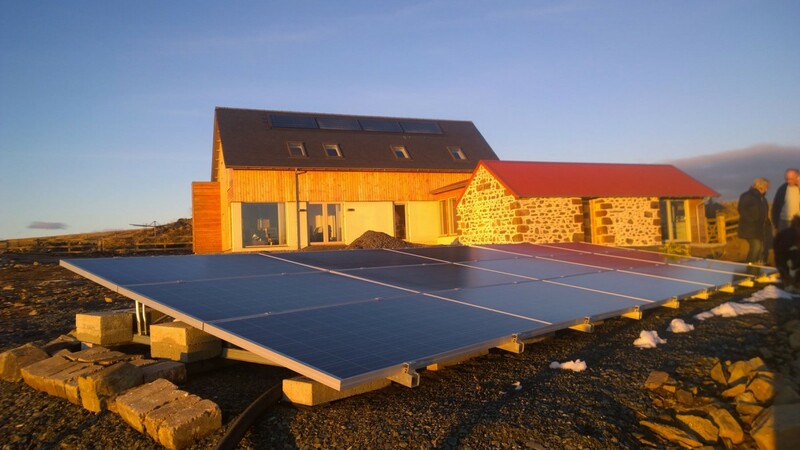 It is worth bearing in mind that to achieve Passivhaus standards, it’s not about buying lots of fancy renewable energy gadgets; the focus is on changing the way we approach building. During the design stage, it is crucial to consider ways of radically reducing air leakage, getting rid of thermal bridges, increasing insulation levels, and making good use of glazing for solar gain. Throughout the build stages, achieving Passivhaus depends on the construction team working closely with one another – so that each stage is completed without costly mistakes. For those undertaking a retrofit, the Passivhaus method can be applied through a more recent and less-demanding standard, called EnerPHit. This has been devised by the Passivhaus Institut specifically for retrofit projects. In order to complete a Certified Passivehaus you must engage a Certified Passivehaus Designer, who is a specialist in designing and certifying your house. They will be an additional professional required on your project and typically add £5,000 to your professional fee costs. Budding Self Builders can aim to follow the principles of Passivhaus without gaining the certification, as some Passivhaus requirements – such as triple glazing – might be outside some budgets. Aiming to have as airtight a property as possible will go a long way in building an energy-efficient home. Any architect with experience in designing energy efficient homes will always recommend investing in this Passivhaus or ‘Fabric First’ approach, before turning to energy saving technology. As stated before, this approach aims to minimise your Self Build’s reliance on energy consumption, by concentrating solely on getting the most out of the fabric of the building. The airtightness of your building is undoubtedly the most important step to achieving an energy efficient, ‘Fabric First’ Self Build home. 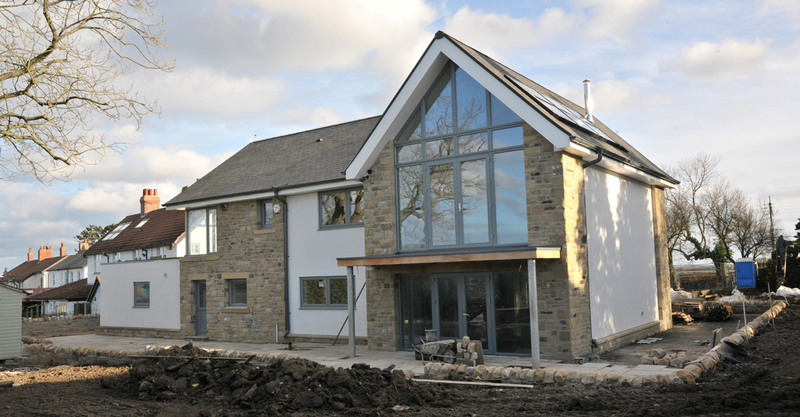 Timber Frame, Structural Insulated Panels and Insulated Concrete Formwork are some of the most efficient construction methods for ensuring a high level of airtightness in your Self Build. The slightly less efficient methods, such as Brick and Block, can have their airtightness levels boosted through the use of special tapes and membranes. Regardless of the construction method you choose, it is important to compliment your Self Build’s airtightness with super-high insulation. The more airtight your construction, the more warm air your home can retain; the more warm air your home can retain, the less energy your building will consume through heating. For a comprehensive guide to insulation, click here. Glazing is a crucial component to get right when attempting to achieve an energy efficient Self Build. Glass lets a very high percentage of energy pass through it from the sun’s rays, trapping in the subsequent heat. Your Self Build can also benefit from the natural daylight that glass allows in – meaning less reliance on electrical lights. On the other hand, glass can be a very poor insulator; once the sun sets and is no longer shining through, the glass can release heat energy quite quickly – so using double-glazing or triple-glazing will enhance your home’s heat retaining qualities. With glass allowing a great amount of natural heat into your home, but simultaneously letting a large amount escape, it can be a bit of a juggling act to get the balance right. An energy efficient design should include enough glass for your Self Build to benefit from as much of the sun’s free heat and natural daylight as possible, but not so much glass that your home gets too warm in summer, and too cold in winter. One of the best sources of natural energy, unsurprisingly, is the sun. The sun’s contribution to a building’s internal heat is called the solar gain. To make the most of this principle, your design should aim to maximize the solar gain in the winter, and minimize it in the summer. To do so, concentrating on your Self Build’s glazing, orientation, and thermal mass is a winning combination at the design stage. Over the last few years there have been incredible developments in glazing – with increasingly wider use of triple glazed units. Due to its increased density, triple glazing can help reduce noise and can regulate solar gain, whilst increasing thermal comfort. However, triple glazing is still approximately 10-15% more expensive than a double glazed performance window. Unless specifically needed – as in a Passivehaus design, for example – stick with high-performance argon or crypton filled double glazing units. These give the best trade off between cost and performance. 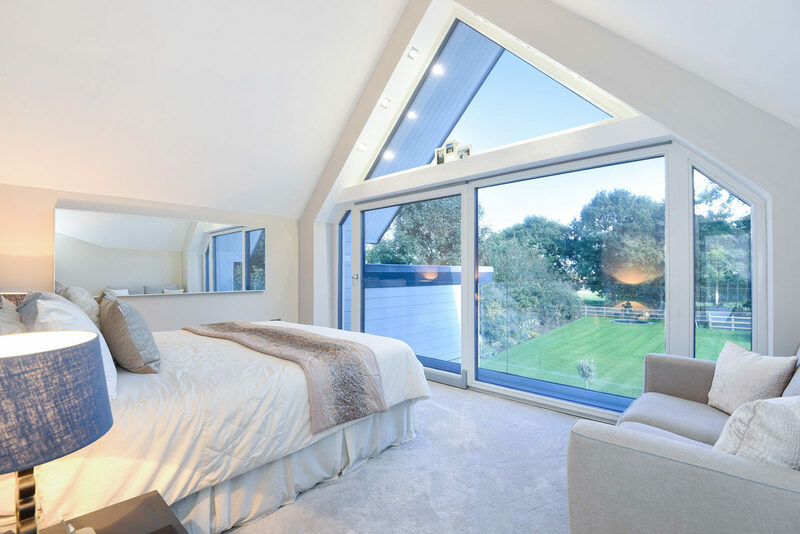 Depending on where your Self Build is situated, and which direction it faces, you can increase the efficiency of your glazing considerably. 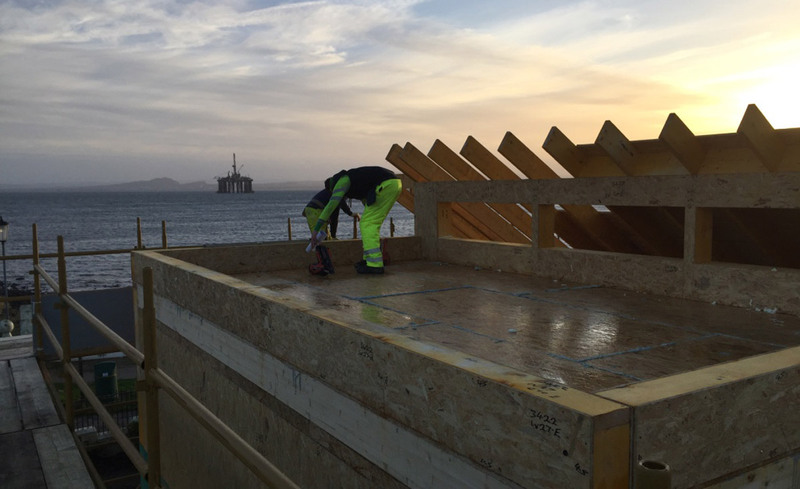 The orientation will determine how much sunlight your Self Build receives, as the direction and height of the sun varies significantly throughout the year in Northern latitudes such as the UK. As theyellowhouse.org.uk explains, surfaces facing south receive sun all year round, as this is the dominant direction in which the sun faces back – particularly in winter. It is therefore recommended that any windows used for maximizing solar gain should face south – or as close to south as possible. North-facing surfaces lie in shade all year round. The sun is received in the arc South East to South West, however, the adjacent quadrant, North-East to North-West, receives very little sun except at the peak of summer. When designing your energy efficient home, it is best to keep glazing to a minimum on this side of the building, and focus more on good quality insulation. Measuring your Self Build’s capacity to store and regulate heat internally is known as the Thermal Mass. If a building has a high thermal mass, it will take a long time to heat up, and a long time to cool down. This results in a very steady internal temperature. In contrast, if a building has a low thermal mass, it is more exposed to wide fluctuations in its internal heat. Many elements within the house contribute to its thermal mass – with the best heat-storing materials being those with more density, and therefore heat up slowly. In heating up slowly, they then distribute their heat gradually. Materials such as brick, concrete and stone have a high thermal capacity and are the foremost contributors to the thermal mass of a house. Water also has a very high thermal capacity, and is well suited to central heating systems. Air, however, has quite a low thermal capacity and despite warming up quickly, it does not maintain its heat for long. Once walls and floors are warm, only then will air preserve its heat. Focusing on developing a high thermal mass is important if you want your Self Build to reach a great energy efficiency rating. Investing in the fabric of your Self Build is paramount to achieving this, so take the time to consider which methods of construction you would like to integrate into your design. Once you have considered the fabric of your Self Build, spending some time to think about how to heat and power your home is important. There are a variety of systems which can be utilized effectively to maintain energy efficiency. For example, your home could significantly benefit from the use of a solar panel electricity system. These Solar Photovoltaics (PV), capture the sun’s energy using photovoltaic cells. What impresses about these panels, is that the cells do not require direct sunlight to work. This means energy can still be generated on cloudy days. The electricity generated can be used to run everyday appliances and lighting. Solar panels can also cut your electricity bills in the future. After paying for the installation, your home will be generating its own energy – and the UK government’s Feed-In Tariff scheme rewards you for the electricity you generate, even if you use it. If you are fortunate enough to generate more than you use, you can sell your surplus electricity back to the grid too. For more information on Solar Panels, and the breakdown of costs and savings, visit the Energy Saving Trust site, here. Because it is difficult to get a consistent and predictable level of supply from renewable energy systems, a group in East Lothian have developed a range of products which act as heat batteries. Sunamp heat batteries therefore store energy when it is available, and release it when needed. This has quite a significant impact, as the efficiency of domestic systems can be improved by as much as 50%. To see Sunamp’s other great energy storage systems, click here. Another way to heat your home, whilst making the most of natural energy, is through the use of heat pumps. Heat pumps work by extracting heat contained within earth, air or water, depending which system you choose. Air source heat pumps are reasonably straightforward to install, making them cheaper than ground or water source options. A slightly trickier heat pump to install is the ground source heat pump. These pumps require a large space in the garden to install the loops within the ground. However, lasting around 25 years, these energy efficient heat pumps require almost no maintenance. They can also operate in summer to cool your home down as well. Reusing as much as 95% of the heat that would otherwise have been lost, a Mechanical Ventilation with Heat Recovery (MVHR) system is the perfect way to ventilate and heat a sufficiently airtight home. This network of ducting connects each room to a heat recovery system stationed within the warmer part of the home. This MVHR system works by continuously extracting warmer air from the wet rooms of the house, whilst simultaneously drawing fresh air inwards from outside. The heat from the extracted air is recycled through a heat exchanger within the heat recovery unit, and is reused to temper the fresh air supply for the habitable rooms of the home – such as the bedrooms and living spaces. In summer time, a special by-pass function helps to ensure comfortable temperatures are maintained indoors. This function switches off the heat recovery-system at intervals, meaning more cool, fresh air can enter the building to lower temperatures gradually. These are very quiet systems and are hidden away effectively. They provide removal of condensation and supply fresh, filtered air throughout your building – meaning allergy sufferers and those with asthma benefit greatly. There are some building societies, such as Ecology Building Society, who offer preferential mortgage rates for buildings that are eco friendly. Ecology encourage this by offering a discount of up to 1.25% off (for Certified Passive Haus) the Standard Variable Rate. The discount will be applied on confirmation of the energy rating your Self Build achieves – the higher the rating, the bigger the discount. 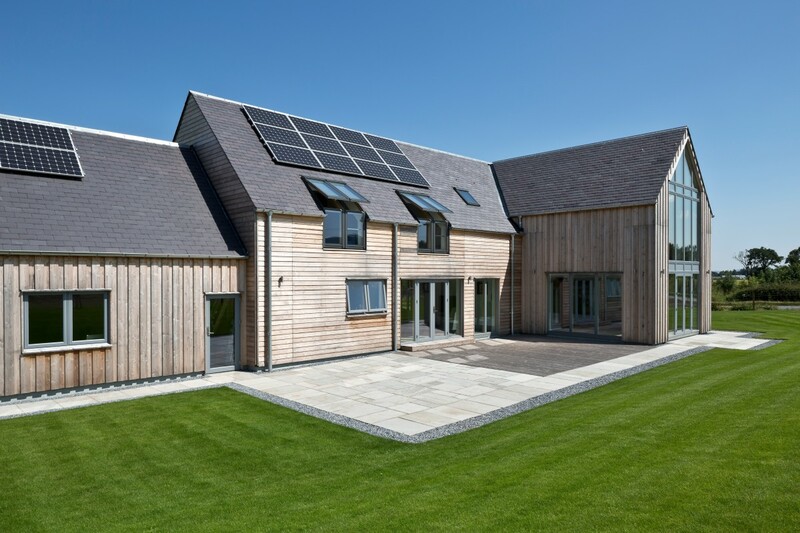 With such a variety of renewable energy technology available, and new standards for achieving energy efficient buildings, designing your energy efficient Self Build can be a fun and engaging experience. For more detailed information on the design process, or for to discuss your eco Self Build plans, get in touch with ACA today.